Silvio Cappellari is a partner in SZA Schilling, Zutt & Anschütz’s competition law department. Based in Brussels, he advises German and international companies on a wide array of competition law issues. 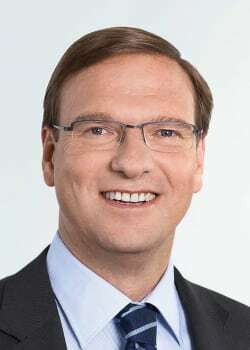 A particular focus of his practice lies on complex merger control cases before the European Commission and the German Federal Cartel Office. Moreover, he has represented clients in international cartel investigations, including in various proceedings before the EU courts. He also regularly advises on abuse of dominance matters and compliance-related issues. Silvio has particular expertise in the energy, manufacturing, pharmaceuticals and transport/logistics sectors. Numerous publications count Silvio among the leading German competition lawyers (inter alia, Chambers, Who’s Who Legal, JUVE, The Legal 500). He is described as a seasoned merger control expert and regularly receives excellent client feedback. Silvio is the author of numerous publications in the area of competition law. He is co-author of the Frankfurter Kommentar, a leading German treatise on competition law (chapters on European and German competition law). Silvio studied law at the University of Göttingen and received an LLM degree from Columbia University School of Law. He joined SZA Schilling, Zutt & Anschütz in 2013 after almost 10 years as a partner at leading US law firms. He is a member of the American Bar Association and the German Association of Competition Lawyers.